We would like to share this recent letter and pictures from our contact in Peru that you might be encouraged to know your prayers and support are being blessed. Please remember us in your prayers as we begin our travel to Australia today and then on to Asia for ministry after the first of the year. Also, remember to pray for the pastors and their families and congregations in India. We have heard of recent persecution and beatings over believers doing Christmas caroling! Give thanks for the freedom we still enjoy in this country and be encouraged by the stand of our brothers and sisters around the world. Here in America, this is a season of giving gifts to those we love. Your faithful prayers are the greatest gift you can give to the Body of Christ—it is the gift that reaches beyond borders with both temporal and eternal results. May you all have a blessed and Christ-centered Christmas as we celebrate the glory of His grace! We greet you in the glorious name of Jesus, our Savior. It’s an honor for us to write you from our country of Peru, at the same time giving infinite thanks for your prayers, and financial support for our missionary work here in Peru. We thank God that we continue with the seminary in Tambogrande, where each time we see more growth in the students learning the Word of God. We believe God is raising workers for the harvest, we are thankful to be a part of this work in raising up leaders because we believe that our work is not in vain. The last week we had the privilege of having more than 25 students. 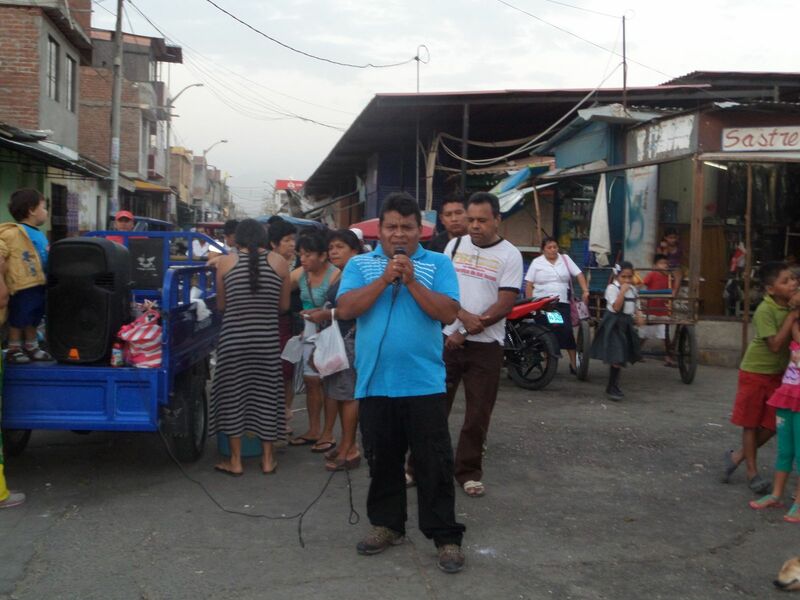 Tuesday, the 2nd of December, we had our evangelistic campaign with children and teens at the downtown market in Chulucanas. There were more than 200 children, many of whom listened to the gospel of salvation for the first time. We thank God for this privilege. 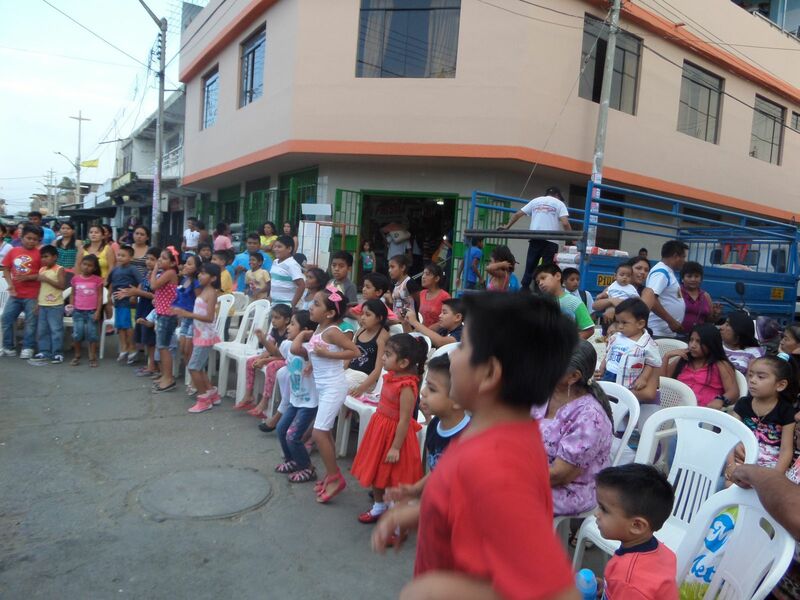 Also beginning Monday we began to visit different small communities such as: SANTA TERESITA , PAVUR VIEJO , ALTO EL GALLO , TALANQUERA , TALANDRACAS , HUASIMAL, MERCADO JARRIN , YAPATERA . In these places we will share a Christmas meal and a gift. We thank you all because you’ve made it possible to go to these places and share the message of salvation. We are happy to hear that you will be visiting us next year, we trust God will make this dream a reality, and that He will know the best place for the conference. For the children and teens in northern Peru , there is recently being seen a lot of family violence in the homes. We believe Jesus Christ is the solution to this problem. For the students of the Theological Seminary, that they continue to have the same desires to continue studying. Your prayers for our family. Many thanks, greetings to all the brothers and sisters of Basic Training throughout the world—we are praying for you. Our children and all the family greet you, as well as the leaders and pastors here in Peru.